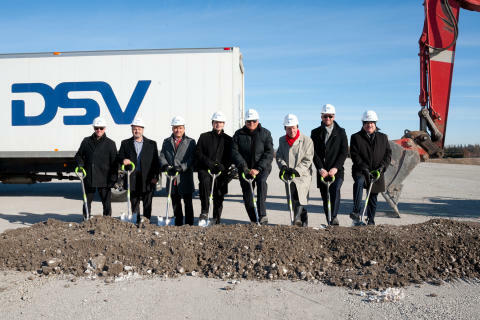 DSV Canada breaks ground on new 1.1 million square foot facility in Milton, Ontario, scheduled to open fall 2019. DSV’s new facility will be the future Canadian head office and state-of-the-art logistics complex. The location of DSV Canada’s new head office was marked by the Milton ground-breaking ceremony on 22 November. DSV Managing Directors, Rob Chanona, Martin Roos and Kyle Birchard welcomed Milton Mayor, Gordon Krantz, Chief Administrative Officer for the Town of Milton Bill Mann, and Manager of Economic development for Halton, Region Christine Carrington along with Leeswood Construction to celebrate the occasion. The 1.1 million square foot complex will house a multi-client warehouse with state-of-the-art logistics capabilities and an attached 3-floor, 35,000 square foot administrative office. The new DSV Canada head office will be located on Fifth Line, just north of Derry Road in Milton. 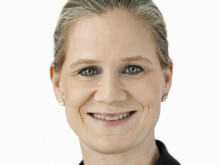 “Today’s ground-breaking signifies a momentous milestone for DSV. The largest facility of its kind in the DSV network worldwide (across over 80 countries), the new facility in Milton showcases our commitment to our customers and the future of DSV in Canada. Together, we have limitless potential and opportunity for growth, partnership, and innovation”, says Martin Roos, Managing Director. Construction to get the site ready began back in May 2018, with Leeswood Construction managing the project and build. “DSV had a clear vision from the start, and Leeswood is proud to be the contractor of choice for DSV’s industry leading facility. On behalf of the Leeswood Team, we look forward to delivering this monumental project to an award-winning Global Transport and Logistics leader”, noted Pat Spanjers, Partner at Leeswood Construction. As a global supplier of complete transport and logistics, DSV is proud to be a part of Milton’s thriving business community and looks forward to growing with our clients and colleagues.